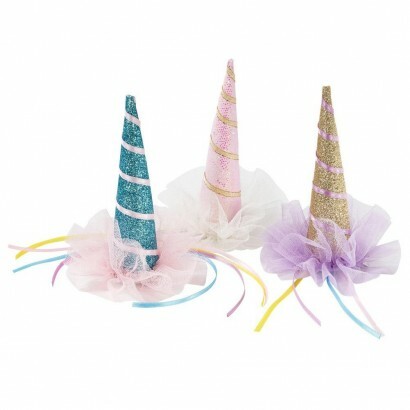 Full of magic and enchantment, sparky unicorn horn party hats are packed with sparkle for extra enchanting effects! 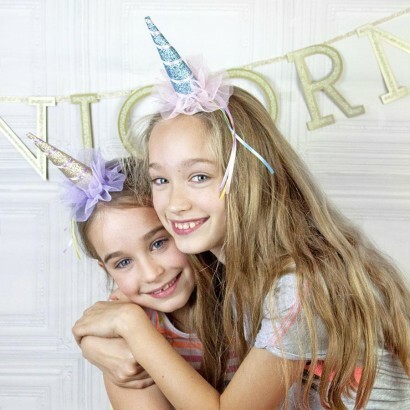 Rock a party look with extra magic with a free standing unicorn horn detailed with glitter and ribbon based in tulle for playful party wear. No need for a headband, simply secure in your hair using the jointed hair clip attached and channel your inner unicorn as you party and play!